The Expert Meeting on Trade as a Tool for the Economic Empowerment of Women will be held from 23 to 24 May 2016 in Room XXVI of the Palais des Nations, Geneva. It will commence at 10 a.m. on Monday, 23 May. Women are important players in trade: they manufacture products, trade goods across borders, manage and own trading firms and constitute a significant part the workforce in export-oriented sectors. Women have increased their share of the labour force and of jobs in management and as entrepreneurs, and their growing participation in the economy has been a major engine of global growth and competitiveness. Despite all these advancements, women’s potential in trade is too often held back by the many constraints they face. To analyse such problems and discuss possible solutions, UNCTAD is organizing this expert meeting. The meeting will provide the opportunity to explore the gender and trade nexus focusing on three sectors: agriculture, manufacturing and services. It will also allow a discussion of the treatment of gender equality and women’s economic empowerment within new global development frameworks, namely the 2030 Agenda for Sustainable Development and the Addis Ababa Action Agenda on financing for development. The meeting, which is expected to be participatory and interactive, will review current thinking and evidence on trade and gender and offer the opportunity for a focused discussion on the issues under consideration. Registration should be completed online. To do so, please use the following link: Expert Meeting on Trade as a Tool for the Economic Empowerment of Women. Nominations and related communications concerning representations at the meeting should be sent to the UNCTAD secretariat, Intergovernmental Support Service, Palais des Nations, CH-1211 Geneva 10; fax: 41 22 917 0214; e-mail: meeting@unctad.org. Experts, who will participate in the meeting in their personal capacities, will include policymakers, representatives of civil society and the private sector, and academics from universities and research institutes involved in policy formulation and implementation, research, teaching and advocacy in the area of trade and gender or more broadly gender and economics. 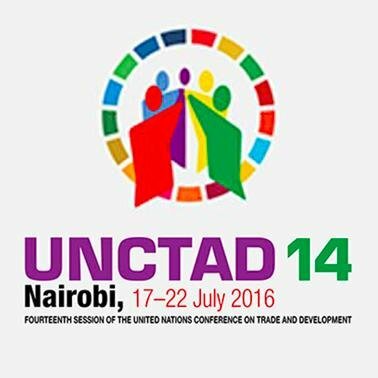 Member States of UNCTAD are requested to inform the secretariat of the names of their participating experts at an early date and not later than 9 May 2016. Specialized agencies and international and regional intergovernmental bodies wishing to participate in the meeting, as well as non-governmental organizations in the general category and those in the special category wishing to participate as observers, are requested to inform the UNCTAD secretariat of the names of their representatives by the same date. Experts are encouraged to prepare and submit to the meeting brief papers (3–5 pages) related to one or more of the issues contained in the provisional agenda, which will be available on the UNCTAD website. These papers will be made available to the meeting in the form and language in which they are received. They should be sent in advance of the meeting to the coordinators in the UNCTAD secretariat whose contact details are provided in this notification. Depending on the availability of funds in the Trust Fund for Financing the Participation of Experts at the time of nomination, funds may be allocated to finance the participation of a limited number of officially nominated experts from developing countries and countries with economies in transition. Governments requiring funding are therefore invited to explicitly request this in their letters of nomination. It should be understood that funds currently available in the dedicated trust fund are very limited, and nominations shall be considered based on that availability. The decision as to which experts should receive financing will be based on the direct involvement and expertise of the nominated experts, on the principle of equitable geographical representations and on the needs of beneficiaries, in particular, least developed countries. Changes in the experts nominated will be considered as new nominations. (e) Name of a contact person in the respective permanent mission in Geneva. Once the list of experts to receive financial assistance has been finalized, all travel arrangements will be made in accordance with United Nations rules and regulations, that is, the use of the least costly fare will be applied. The provisional agenda for the meeting, together with the secretariat’s annotations thereto, will be circulated as document TD/B/C.I/EM.8/1. To facilitate the discussion, the UNCTAD secretariat has prepared an issues note, which will be circulated as document TD/B/C.I/EM.8/2. Before entering the Palais des Nations, participants are requested to collect their badges at the United Nations Security Service, Pregny Gate entrance, 14 avenue de la Paix. The Security Service is open from 8 a.m. to 5 p.m. Because of the security measures in force, participants are strongly advised to arrive before 9 a.m. to complete entry procedures in good time and proceed to the meeting in the E Building of the Palais. Participants are requested to carry a passport or similar national identity card. Taxis are not allowed to enter the grounds of the Palais des Nations; therefore, visitors will be dropped off at the entrance gates. Furthermore, luggage may not be brought into the buildings unless the Security Service grants special clearance. All other enquiries should be addressed to the coordinator in the substantive division; tel: 41 22 917 5622, fax: 41 22 917 0044; e-mail: simonetta.zarrilli@unctad.org.